There are all sorts of prepping resources on the web, and YouTube is a treasure trove of great prepping videos. 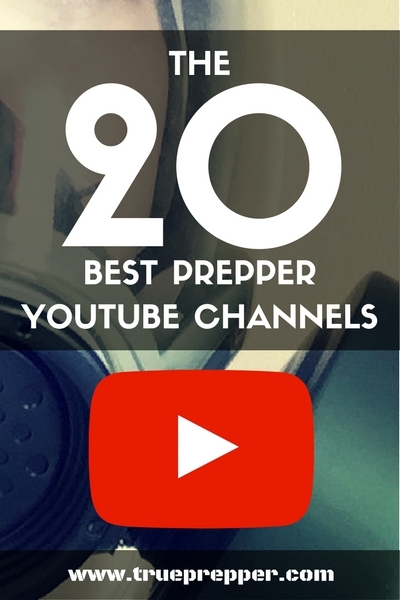 Here are the best YouTube prepper channels that TruePrepper subscribes to that are worth checking out. Some of these channels focus on one area, such as wilderness survival or first aid, but they all pertain to prepping in one way or another. These channels are sorted by subscription count at the time the list was developed. You may see a few you recognize up top, but may want to check out some at the end of the list to give the lesser known prepper YouTube channels some love. This guy from Queensland Australia is self taught by watching videos on YouTube (go figure). He does some awesome work with primitive bushcraft, and his video style is mesmerizing with great editing and no dialogue. Definitely worth a watch. A city family turned homesteaders, this channel is chock full of great homesteading advice. Check out their adventures in the Pacific Northwest as they strive for self sufficiency. A great space weather channel that talks about solar flares, coronal mass ejections, etc. If you want to go more in depth than our space risk analysis page, this channel would be a good starting point. Sootch00 reviews a lot of great prepping and survival gear on this channel. Tons of survival hacks can be found here too, which is great to expand your resourcefulness if SHTF. This guy makes a YouTube channel and puts up pretty much whatever he wants. Sounds pretty lame until you see that a quiet afternoon for him is custom making all sorts of automatic weapons, exploding arrows, and other badassery. The creativity and resourcefulness of this channel makes it worth the subscription alone. Michael from the UK uploads all sorts of videos on hunting and bushcraft. They are lengthy, well edited, and thorough. He posts about 3 videos a month, so it is all about quality rather than quantity with him- something we could all learn from. Chris Tanner and two other give us three videos a week on a slew of survival topics. Review videos mixed in with how-to videos make this channel fresh every week. Scott Hunt, the owner of Practical Preppers, has a stranglehold on storage YouTube videos. I believe we are cut from the same cloth, both being engineers and preppers. His videos teach you how to store anything you could want, from power to water. His YouTube channel and website are definitely worth a look. A combination of tactical and survival videos makes a great channel to watch. They do many survival gear reviews, but also have a ton of great how-tos as well. The videos have great production value and editing, making them very easy to watch. Great medical advice can be found here with little politics sprinkled on top. We could go without the political rants, but YouTube is a form of self-expression so we let it slide. Don’t let that keep you from checking her channel out- have a look at her med kit series and you will be hooked. Mitch, the guy from the popular survival series “Alone” on the History Channel shares all sorts of knowledge about bushcraft, edible plants, survival cooking, etc. Frankly, I am surprised the channel is not much higher on the list with subscribers. A whole channel of MacGyver preps and outside the box thinking. Off grid survival techniques and general prepper knowledge are addressed with about 3-4 video uploads a week. A great prepper YouTube channel if you are looking for something entertaining as well as informative. A lot of politics, but this guy was ahead of the curve on the Flint, MI water crisis. He is in a very small minority as a black libertarian prepper and is very knowledgeable and speaks his mind. He posts a couple times a week and is worth checking out. Survival situations and survival gear are what this channel is all about. The boys from America’s hat know how to prepare for anything, and are generous enough to let us take a look at their resourcefulness on YouTube. Physical fitness is a big deal for them, which cannot be stressed enough for prepping. A former British Infantry soldier shares his knowledge on mostly Bug Out preps. There are several good survival gear reviews as well. A great YouTube prepper resource if you are looking for something different. What a great beard. Great videos too, but the beard is obviously viking-esque. He has hit his stride as a YouTube contributor after blogging for many years, and is constantly uploading informational, entertaining videos with an awesome beard. A channel on- you guessed it- homesteading! Brad posts very regularly and is logging many of their homesteading adventures on YouTube. There are several channels about homesteading on YouTube, but we feel this one is updated frequently and has a genuine vibe to it. Let’s face it; normally you have to pay for advice from a doctor. The authors of bestselling The Survival Medicine Handbook are doling out free advice at a clip of around two videos a month. They are very knowledgeable and are on the front lines of Zika education. No politics, no weapons – just amateur radio as it applies to prepping. Straightforward and informational, this channel is great to check out if you are into HAM radio. A real down to earth guy that makes survival, preparedness, and primitive skills videos. He posts about once a week and has short videos that are easy to digest quickly. 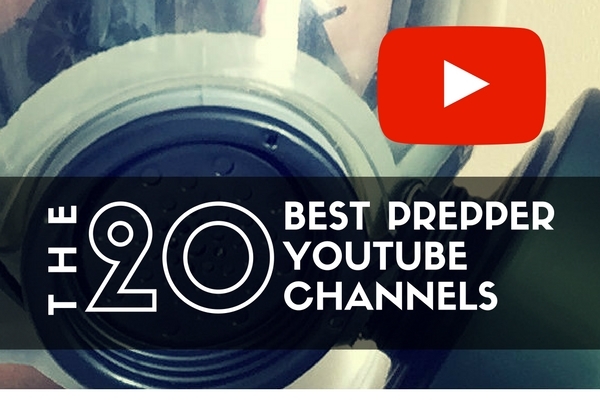 Animal Man Survivor rounds up our Top Prepper YouTube Channel list, do you have any that you would add? I’d love to see my channel included in your list of great YouTube channels. I just opened,cooked and ate beans that I’ve had stored for 11 years. I’ve built shotguns from junk laying around in my scrap bin. War hammers from mill right pikes. Battle axes from saw blades. I’ve drilled my own well by hand (sold the rights to that video to the history channel) I have an eclectic channel,but it alwYs revolves around preparedness ,gunsmithing, repair a nd rebuilding, making homemade weapons. I stay out of politics and religion 99.9% of the time. My channel name is bctruck. Good list; well done! A TON of good information from many points of view. You’re doing a great job! Keep it up!